Gripping & realistic, Solder Songs traces the shift in perception of war from the age of 6 to the age of 66. Follow the lead character through the phases of life from boy to man: playing violent video games as a boy, enlisting & serving in the military, dealing with the real-life horrors of war & later in life dealing with the real-life horrors of war - becoming a father whose worst fears are realized with the news of the death of his son. Adapted from interviews with veterans of five wars, this opera theater experience explores the ideas versus the realities of the Soldier, the exploration of and exploitation of innocence along with the "seemingly impossible" of expressing the truth of war. David T. Little (composer) is “one of the most imaginative young composers” on the scene, a “young radical” (The New Yorker), with “a knack for overturning musical conventions” (The New York Times). 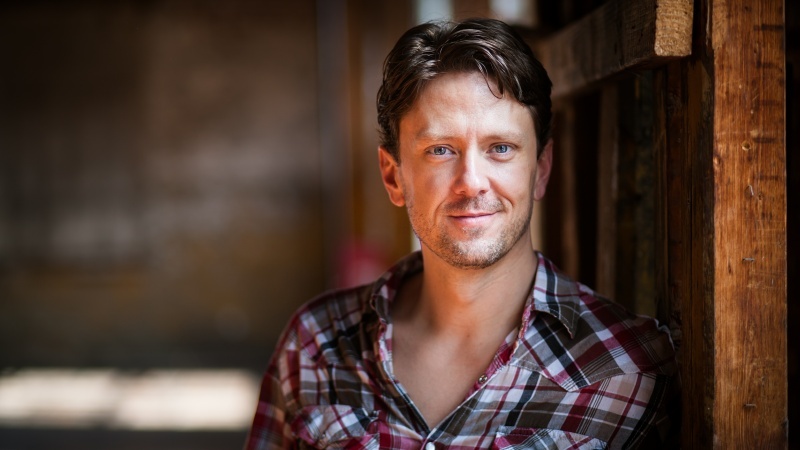 His operas JFK (Royce Vavrek, librettist; Fort Worth Opera / Opéra de Montréal / American Lyric Theater), Dog Days (Royce Vavrek, librettist; Peak Performances / Beth Morrison Projects), and Soldier Songs (Prototype Festival) have been widely acclaimed, “prov[ing] beyond any doubt that opera has both a relevant present and a bright future” (The New York Times). Recent works include The Conjured Life (Cabrillo Festival Orchestra / Cristian Măcelaru), Ghostlight—ritual for six players (eighth blackbird / The Kennedy Center), AGENCY (Kronos Quartet), dress in magic amulets, dark, from My feet (The Crossing / ICE), CHARM (Baltimore Symphony / Marin Alsop), Hellhound (Maya Beiser), Haunt of Last Nightfall (Third Coast Percussion). Little is currently working on a new opera commissioned by the MET Opera / Lincoln Center Theater new works program with Royce Vavrek, and the music-theatre work Artaud in the Black Lodge with Outrider legend Anne Waldman (Beth Morrison Projects). His music has been heard at LA Philharmonic, Carnegie Hall, LA Opera, the Park Avenue Armory, Holland Festival, the Bang On A Can Marathon, BAM Next Wave and elsewhere. Educated at University of Michigan and Princeton, Little is co-founder of the annual New Music Bake Sale, has served as Executive Director of MATA, and serves on the Composition Faculty at Mannes-The New School. From 2014-2017, he served as Composer-in-Residence with Opera Philadelphia and Music-Theatre Group. The founding artistic director of the ensemble Newspeak, his music can be heard on New Amsterdam, Innova, and VIA Records labels. In fall 2016, VIA Records released the world-premiere recording of Dog Days, starring the original cast and Newspeak led by conductor Alan Pierson; the CD was listed as one of NPR’s Best Recordings of 2016. He received a 2017 Fellowship from the New Jersey State Council on the Arts. Bill Morrison‘s films often combine rare archival material set to contemporary music. His work was recently honored with a mid-career retrospective at the Museum of Modern Art, NY, from October 2014 – March 2015. Morrison is a Guggenheim fellow and has received the Alpert Award for the Arts, an NEA Creativity Grant, Creative Capital, and a fellowship from the Foundation for Contemporary Arts. His theatrical projection design has been recognized with two Bessie awards and an Obie Award. “Decasia” (67 min, 2002), a collaboration with the composer Michael Gordon, was selected to the US Library of Congress’ 2013 National Film Registry. “Spark of Being” (68 min, 2010) a collaboration with trumpeter/composer Dave Douglas, won the Los Angeles Film Critics Award for Best Independent Film of 2011. “The Miners’ Hymns” (52 min, 2011). a collaboration with the composer Jóhann Jóhannsson, was described as one of “the best and most beautiful films of the year” by the Huffington Post. “The Great Flood” (78 min, 2013), a collaboration with guitarist/composer Bill Frisell, won the Smithsonian Ingenuity Award of 2014 for historical scholarship. Morrison has collaborated with some of the most influential composers and performers of our time, including John Adams, Maya Beiser, Gavin Bryars, Dave Douglas, Richard Einhorn, Erik Friedlander, Bill Frisell, Philip Glass, Michael Gordon, Michael Harrison, Ted Hearne, Vijay Iyer, Jóhann Jóhannsson, Kronos Quartet, David Lang, David T. Little, Michael Montes, Steve Reich, Todd Reynolds, Aleksandra Vrebalov, and Julia Wolfe, among many others. His work is distributed by Icarus Films in North America, and by the British Film Institute in the UK. 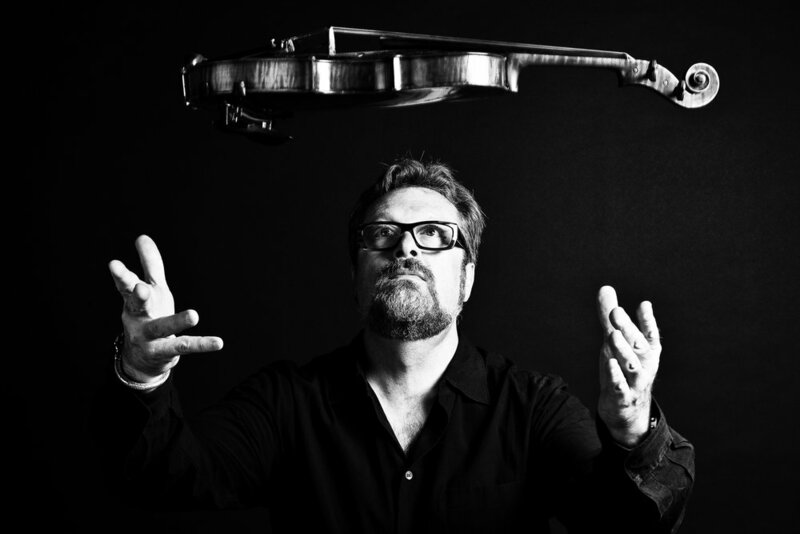 Todd Reynolds (conductor) is known as one of the founding fathers of the hybrid-musician movement and one of the most active and versatile proponents of what he calls ‘present music’. For years the violinist of choice for Steve Reich, Meredith Monk, Bang on a Can, and a founder of the string quartet known as Ethel, his compositional and performance style is a hybrid of old and new technology, multi-disciplinary aesthetic and pan-genre composition and improvisation. 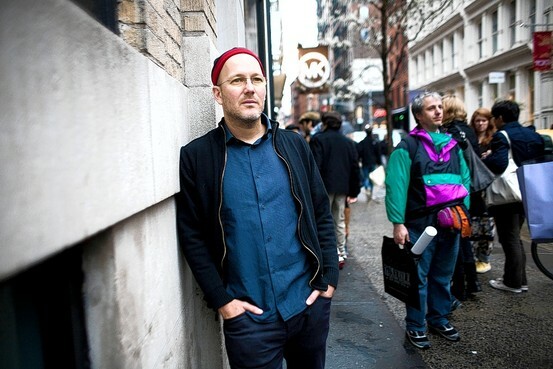 His double-disc debut album Outerborough was released in 2011 on the Innova label. Founded in 2006 to support the work of living composers and their multi-media collaborators, Beth Morrison Projects (producer) encourages risk-taking, creating a structure for new work that is unique to the artist and allows them to feel safe to experiment and push boundaries. NEWSPEAK (ensemble) has been featured as a part of the Tune-In Festival with Eighth Blackbird at the Park Avenue Armory, the Ecstatic Music Festival In NYC, on New Sounds Live, and at the International Festival of Arts and Ideas. They have headlined on the MATA Festival, shared bills with The Fiery Furnaces as part of Wordless Music, and performed as part of John Zorn’s Full Force festival. Most recently, they made their international debut at the 2014 Holland Festival. Newspeak released their first CD with New Amsterdam Records in November 2010, and recently released their follow-up disc, Soldier Songs, on Innova. Named after the thought-limiting language in George Orwell’s 1984, Newspeak is a powerhouse ensemble that blends the anthems of Godspeed You! Black Emperor and Mogwai with the frenetic and politicized aggression of Black Sabbath and the Dead Kennedys. Fusing the music-for-use directness of Louis Andriessen and Frederic Rzewski, the ornate complexity of King Crimson and the Mahavishnu Orchestra, and the emotional depths of Elliot Smith and The Cure, they create a mysterious, nuanced, and compelling sound.